Welcome to ViolinsLover Shop! 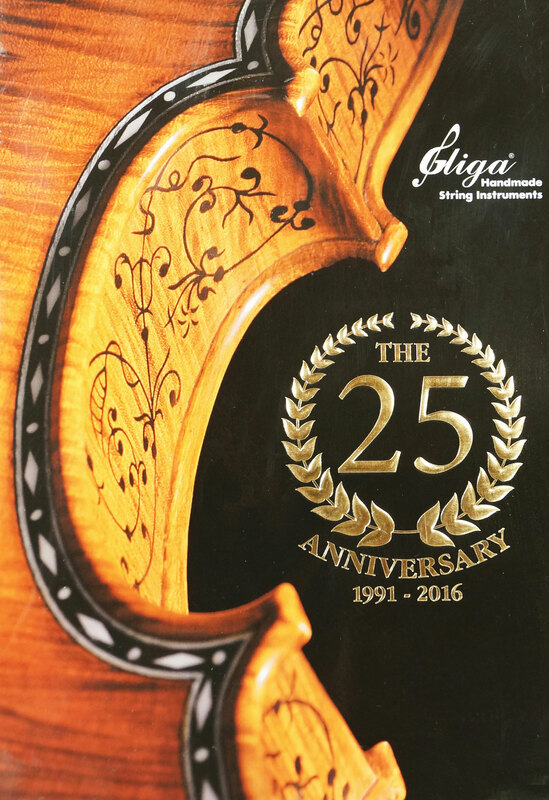 You have found the Gliga Violins USA musical stringed instruments violin shop. Our mission is to bring you the best Romanian stringed instruments from the master craftsman Vasile Gliga at an affordable price. We feature high-quality violins, cellos, violas, and double basses along with handcrafted accessories. All of our instruments are available for various skill levels and age groups from small size violins for children to specialty instruments for adults. We want to offer you a beautiful sounding new violin that equals the value of a vintage model at a fraction of the cost. Gliga instruments are handcarved from the same Carpathian spruce and flamed maple found in the "Italian Valley" of the Transylvania forests that ancient violin makers used for their now priceless pieces. Employing an old Romanian family tradition with sophisticated finishing techniques and modern tools, Vasile Gliga imbues each instrument with his personal passion for the art of violin making. For those who prefer the aesthetic look of an aged instrument, Gliga also offers antiqued violins with a finish that resembles a vintage model without any compromise in sound quality. The majority of Gliga violins are based on the Guarnerius and Stradivarius violin designs with the former having a bigger body that resonates with a more powerful sound. The Guarneri style is best suited for country music and the Stradivari for classical compositions. 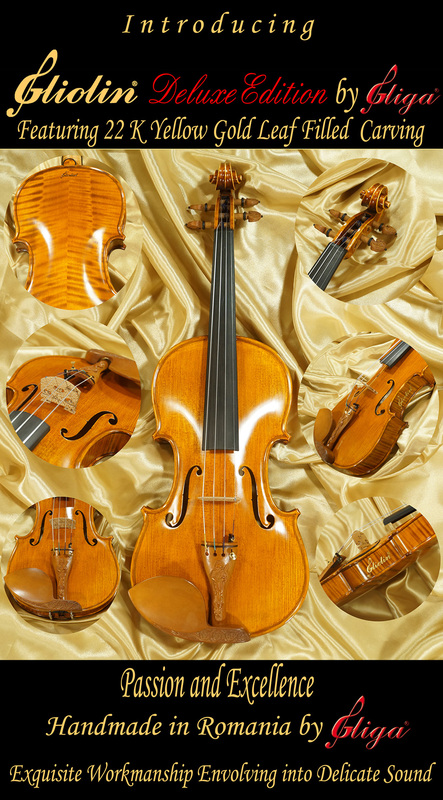 If you are among those who want more than just a traditional 4/4 violin make sure you check out our wide range of sizes, colors, and artistic designs all pictured exactly as you will receive them. Some of our unique items include pyrographed, fine rare art, 5-string, electric, and left-handed instruments as well as whimsical gift items like our carved musical-theme wooden statues. Plus all of Gliga instruments can be purchased with an instrument outfit that includes essential accessories like a violin case, bows, musical stands, strings, tailpieces, and more. Make your order with confidence because with our 7-day trial period and money back guarantee we work hard to ensure you get the perfect instrument, usually with same day shipping. For those just learning how to play the violin, feel free to use our handy Find A Teacher search engine at the bottom of our home page for quick references in your area. If at anytime you have questions or concerns please don't hesitate to contact us either through our live online assistance, by email or by phone. From maestro and professional violins to student violins we strive to be your definitive and trusted source for top quality Romanian musical stringed instruments in the USA. The instruments in the pictures are the instruments buyer receives. All instruments carry a 10-day trial period and a 10-day money-back guarantee. If the customer is not satisfied with the instrument we offer a full refund (except shipping and insurance costs both ways). We accept payments by Money Order, Cashiers Check and Wire Transfer.